Austen Connella and Kristin Kordich's family cannabis farm isn't easy to find—and that was the idea. It's tucked away in the Suey Creek valley, several miles east of Nipomo, in one of San Luis Obispo County's remote nooks and crannies. Amid virtually untouched rolling hills and oak woodlands, Connella and Kordich bought the land in 2013 with seclusion in mind. Back then, cultivating cannabis for a living came with a heavier stigma. 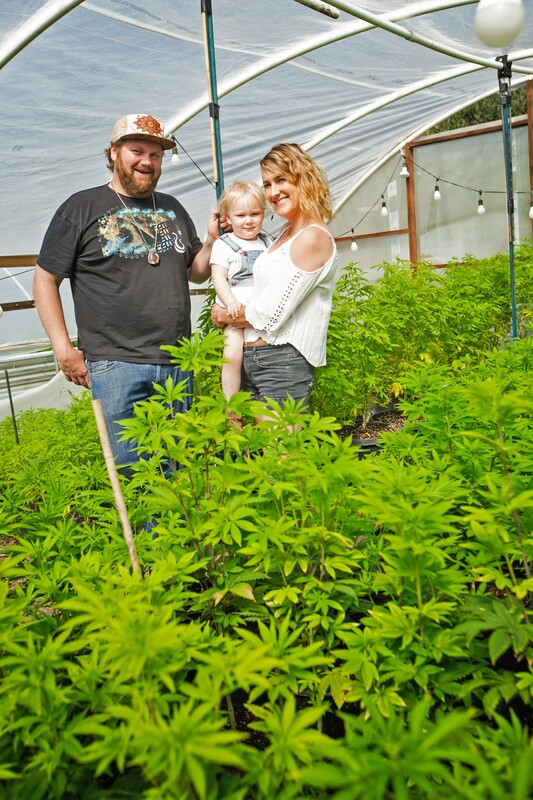 FAMILY FARM Austen Connella (left) and Kristin Kordich (right) pose in front of their Suey Creek cannabis farm with their 3-year-old daughter. "That was one of reasons we originally came out here," Connella said while leading up a winding driveway to his property. "Five years ago, things weren't where they are today. We were still trying to keep it out of the eye of the public and be safe." Except for chatter from Connella's 3-year-old daughter, who's playing outside with Kordich, it's quiet by his house with expansive views of the valley. A large bed of cannabis plants sits about 50 feet from the front door. Identical beds are scattered throughout the property. In total, they have 1,000 plants on the organic farm they call SloCal Roots. 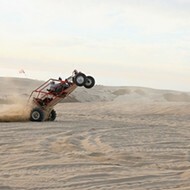 "I practice regenerative agricultural," Connella said. "We bring the soil in from Shasta—volcanic, ancient riverbed. That's the blend that's made up there and brought down here. It's got good bacterial life in it and we try to keep it alive." For his entire adult life, Connella, 35, has envisioned a day when cannabis farmers could be considered on the same playing field as other agriculturists in SLO County. As a teenager in Atascadero, Connella learned about the medicinal qualities of cannabis on trips to the San Francisco Bay Area, and started his own cannabis grow at home at age 18. A few years later, Connella would become the first in the county to apply to open a storefront medical dispensary in Templeton. County supervisors denied the project in 2008 and have yet to approve the establishment of a dispensary. But California (and SLO County) voters' recent approval of Proposition 64 gives Connella hope that a shift can take hold in SLO. "You have third and fourth generation wine growers, they're respected," Connella said. "I always wanted to do it with the blessing of the county. Finally, we're getting the chance now to come into the light here. We still have a ways to go." A red binder filled with hundreds of pages of completed paperwork sits on his dining room table: It's his application for a minor-use permit, a required step to becoming a licensed, legal farm. Gazing outside at the cannabis plants, Kordich summed up the stakes for her family as they await the necessary approvals from SLO County. "This is our future right here," Kordich said. Looking down at her daughter, she added, "This is her future." While many saw the legalization of cannabis in California as inevitable, the clunky reality of its implementation county-by-county was perhaps less foreseeable. Local ordinances have created a checkered map of sorts, with some regions allowing a cannabis economy and others deliberately turning it away. In SLO County, the doors are slowly creeping open. While cultivation is restricted and highly regulated, and retail sales are mostly confined to deliveries, local industry members are mobilizing and positioning themselves to not only get their foot in the door as licensed operations, but to grow their businesses. Costly barriers to entry and a regulatory landscape that continues to change are challenging entrepreneurs as they find their footing in a brand new industry. If Connella and Kordich represent the shrouded-from-view type of cannabis grower, Charlie Doster assumes the opposite label. Doster, 60, runs SLO Cloning, a cannabis nursery, right out of his garage in residential Los Osos. Doster will need to change his setup to comply with new county regulations, so he's looking for a nursery space on the coast to move the business. 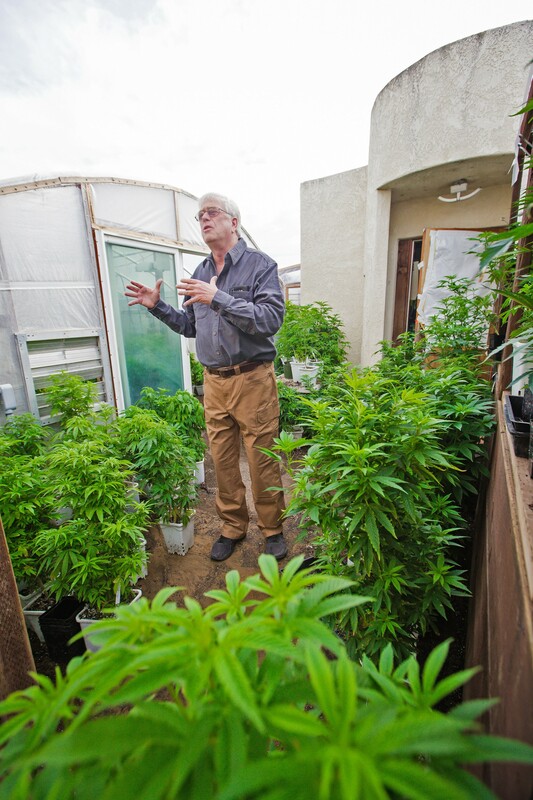 IN-HOME NURSERY Charlie Doster, owner of SLO Cloning, stands among cannabis plants that outgrew his Los Osos nursery. Doster runs a cloning business out of his garage but is seeking a new location. "We need to stay in the coastal zone because of the humidity and the cool temperatures," Doster said. "Clones are very sensitive to what's called desiccation. They'll dry out. When you cut a clone, it doesn't have a root system so it can die almost immediately if the humidity is too low. We need to stay where the temperatures are cool and moist so we don't run into these problems." 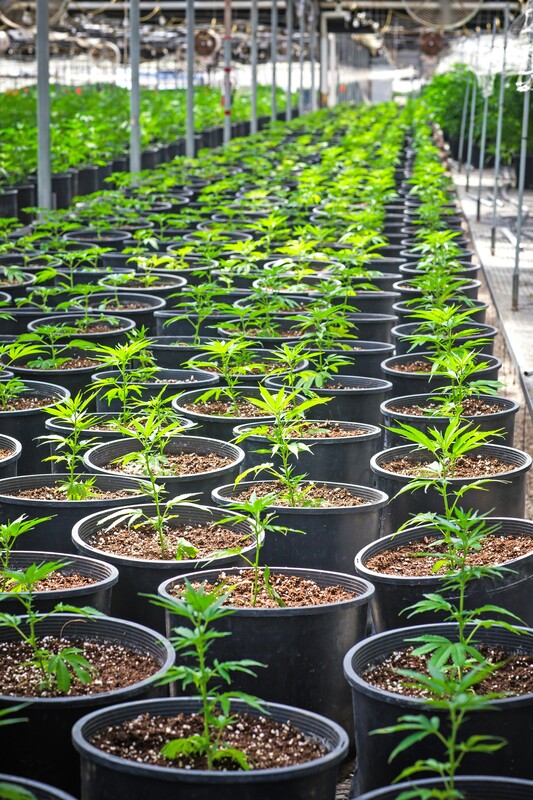 The cannabis supply chain begins in a nursery. Doster said he has 5,000 unique cannabis strains, which he gets delivered to him from cloners in San Francisco. He nurtures them in his garage, and they sell for about $10 apiece. He deals with local growers, as well as growers throughout the Central Coast and Central Valley seeking his varietals and care. Doster also has customers who grow for personal use. Clients with illnesses like cancer are offered free or discounted clones to grow their own medicine. "We have medical strains in stock at all times," Doster said. "Even with a degree in horticulture, it's taken me years to really understand how to do this and do it right. ... Anyone can grow cannabis. You can throw a seed out into the asphalt of your driveway, it's going to sprout, and you'll have a little marijuana plant. But growing medical-grade cannabis—high-grade, sellable, top-end cannabis—sometimes people get lucky, but usually it's an experienced grower who knows what he [or she's] doing." As the bottom-floor building block of the industry, clone businesses are dependent on a healthy market above them. And that's one reason why Doster is worried about SLO County. In the county's ordinance, cultivation land-use permits are limited to a list of 141 growers who registered their sites in 2016 when the county passed emergency regulations to curb cannabis grows in the California Valley. The ordinance also bans all outdoor personal cultivation (of up to six plants) and storefront dispensaries in unincorporated communities, like Los Osos, Templeton, and Nipomo. Doster thinks those restrictions will inhibit many current cannabis cultivators from being able to continue, and, in turn, jeopardize his business. "We supply clones to growers. If there are no growers, we don't have a business," he said. Doster and Connella both hold a "golden ticket" in SLO County, as industry members sometimes call them. They're two of the 141 growers. Connella is even luckier. He's one of about 30 who doesn't have to relocate his farm. Everyone else on the list has until the end of 2018 to find property and apply for a county permit. If they don't, "new cultivators may apply for unallocated permits of the 141," said Rob Fitzroy, the deputy director of SLO County Planning and Building. That's a tight timeline to secure new land, prepare infrastructure, and submit a permit application attached with thousands of dollars in fees, Doster said. As of press time, 18 cannabis land-use applications were filed with the county. Nearly all of them involved cultivation operations. "It might sound like there's enough time. In reality, it's not," Doster said. "I'd say the average investment is $100,000. ... The industry is expected to legalize and normalize, but it's not realistically possible with the timeframes. Some people are going to make it, but very, very few." Larger businesses with more resources may be in the best position to succeed, according to Doster and others. 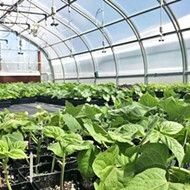 A 250,000-square-foot greenhouse nursery and flowering operation in Nipomo is one of the 18 businesses with submitted applications. Located at the former Clearwater Nursery site on Mesa Road, cannabis replaced cut flowers in 2016 when that business went under. CFAM Management Group runs the facility, an arm of a major California cannabis brand, Cookie Farm. CLIPING FOR CLONES Workers at the CFAM nursery clip "mother" cannabis plants, preparing them to be replanted as clones. CFAM's greenhouses stretch for hundreds of yards in every direction. 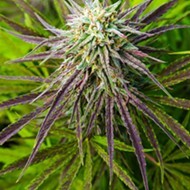 Thousands of cannabis plants in every stage of growth are potted in neat and tidy rows. Workers methodically trim the "mother" plants, readying them to be replanted as new clones. A grow manager held a notebook as he walked from row to row, inspecting the mature plants and jotting down notes. A Colorado native, he said he's tasked with maximizing the production of the "flowering" area, which was reduced by 90 percent to 22,000 square feet after the county ordinance passed. CFAM consultant Sean Donahoe told New Times the nursery was forced to lay off 52 employees after the county scaled back the growing area. The nursery's maintenance manager, Alejandro, has been an employee at Clearwater for 20 years. He said the transition from cut flowers to cannabis is pretty mundane and straightforward. Cannabis is just more lucrative. "It's the same really," he said. Cannabis naturally flowers in the fall. Too much sunlight on a mature plant inhibits its flowering hormone. In late August, when the days get shorter, those hormones let loose and buds form. Cultivators manage to get multiple harvests per year out of the plants by using artificial light and tarps to mimic the natural seasons. "We use artificial lighting to keep the plant in a vegetative state when the daylight hours aren't long enough," Connella said, "and we cover them with the tarp so they think it's nighttime [to induce flowering]. We keep them on that cycle." After the plant flowers, it's time to harvest it. 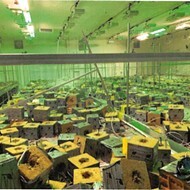 The harvested plant goes to a processing facility for trimming and drying, and, after testing, the buds can then be distributed and sold. But cannabis can also go through a manufacturing process to extract its oil, which can be vaporized, injected into edibles or tinctures, or added to other products like topicals. EXTRACTING CANNABIS OIL Cannabis entrepreneur Jason Kallen stands next to his carbon-dioxide extractor machine at a warehouse off Tank Farm Road. Manufacturing is Jason Kallen's niche. The local cannabis entrepreneur and director of the SLO chapter of the National Organization for the Reform of Marijuana Laws (NORML) rents a warehouse space off Tank Farm Road, where he runs a cannabis manufacturing operation that resembles a science lab. Front and center is a closed-loop carbon-dioxide (CO2) extractor, about a 4-foot-long machine that Kallen said costs $120,000. Swapping butane with CO2 would've made the equipment 90 percent cheaper, he said, but the county banned manufacturing with volatile (flammable) substances. Kallen packs a narrow cylindrical canister full of cannabis flower and flips on the CO2 machine to start the extraction process. "The gas comes from the tank and pressurizes [the cannabis] in the vessel at up to 3,000 pounds per square inch (PSI) or a little higher," Kallen explained in a simulated walkthrough. "At a certain pressure and temperature, CO2 becomes what we call 'supercritical,' which is not a liquid and not a gas, it's an in-between state. It acts as a solvent when it's supercritical." The oil extracted from the flower mixes with the CO2, moving into another chamber. There, the PSI drops to 300, which turns the CO2 back into a gas, Kallen said. "The gas can no longer hold the oil, so then the oil falls down into the bottom canister," he said. The machine runs for hours before all the oil is extracted. When it's complete, the oil is dissolved in ethanol (at a 10:1 ethanol to oil ratio), and then put in a freezer that's set at minus 40 Celius. The solution gets filtered three to five times to remove fats and lipids, and, finally, it's put through a rotary evaporator to remove the ethanol from the oil. If the oil comes out clear-colored, it's ready to go. Kallen sells the oil in bulk and in small cartridges that are designed to attach to a vaporizer pen. 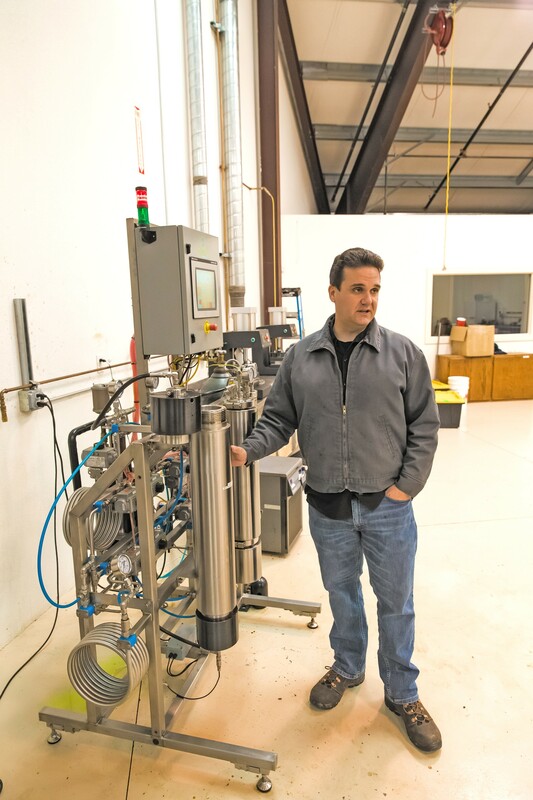 He mostly does business in the Los Angeles market right now, but he wants to upgrade his extraction equipment to become a leading manufacturer in SLO County, as well as establish his own cannabis grow in Templeton. "When we upgrade, we're going to go to a [CO2] unit that's 12-feet-long and $600,000," Kallen said. "We'll be able to do 125 pounds per day." Not everyone producing cannabis oil has the means to scale up their businesses to such an extent. Deborah Caldwell, an Atascadero-area resident, crafts popular cannabis-infused medicinal lotions out of her house using home-grown plants. She's distributed small batches of "Topicanna Sungrown" to Bay Area dispensaries for a few years. With the new county ordinance and a more competitive market, Caldwell knows it'll be impossible to continue making her medicine in the same way. "I need to find investors moving forward because the game is out of my league at this point," Caldwell said. "I really can't do this on my own. The game's too big now." Tami Peluso and Cynthia Gonzalez are examples of early survivors of the cannabis game. Co-owners of the Arroyo Grande-based delivery service Elite Care, they became the first industry members in SLO County to obtain both local and state licenses on Jan. 1, 2018. Former employees of Fortune 500 companies in San Francisco, Peluso and Gonzalez left their day jobs and entered the cannabis industry four years ago. They said they discovered a major need for trustworthy medical cannabis providers after struggling to find medicine for Peluso's mother when she fell ill with cancer in 2009. Since then, Peluso and Gonzalez not only became cannabis entrepreneurs, launching a successful San Francisco medical delivery and consultant service, but policy advocates at the state level during the Legislature's development of post-Proposition 64 cannabis laws. 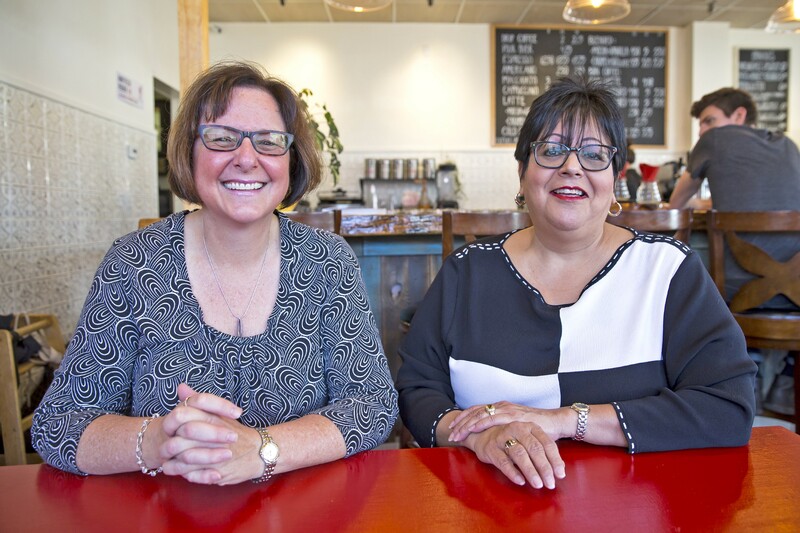 LICENSED Tami Peluso (left) and Cynthia Gonzalez (right) are co-founders of Elite Care, an Arroyo Grande-based cannabis delivery service and the first state-licensed cannabis business in SLO County. "About a year and half ago, deliveries were taken out of the regulatory structure. The big bats that own the dispensaries wanted deliveries to only be a component of a brick-and-mortar," Gonzalez said. "When they made that move, we said, 'We're not going to let this happen.' We had to go into activist and lobbyist mode. About 10 of us got deliveries back on the map in California." Elite Care's most important service to the community, according to the owners, is educating patients about cannabis products through individualized consultations. "We do a lot of education," Peluso said. "When people call us and say I want a certain product, we ask them, 'Well, what are you trying to do?' We ask questions." Moving into the Central Coast, Peluso and Gonzalez entered a crowded cannabis delivery market with literally hundreds of services. Despite being the only licensed delivery, they don't feel like they're squeezing out their local competitors. More delivery companies will likely obtain licenses as local governments start allowing them to operate openly. "It didn't change the environment," Gonzalez said. "And it wasn't designed to. We came here to open up the market. We came here to lift the bans." As other delivery services come out of the dark, they'll face some of the same regulatory requirements as Elite Care did, such as installing extensive security measures at their closed-door dispensary location. "If you talk to the security companies, it's a more robust system than they put in any Citibank, Wells Fargo, Chase Bank anywhere across the nation," Gonzalez said. Right now, Elite Care's cannabis products are sourced from outside the county. As a state licensed company, it can only legally do business with other state licensed businesses, and SLO County has only eight licensed cannabis cultivations (for comparison, Monterey County has 332, and Santa Barbara County has 784). That will also be true for the Natural Healing Center, which will be the county's first brick-and-mortar medical dispensary, opening next month in Grover Beach. Dispensary owner David Separzadeh said that, in time, he hopes to stock his shelves with some locally grown cannabis products. "We need to carry the major brands. But the local brands are also important," Separzadeh said. "We'd like to take those local brands and explode them into the market." Adult-use brick-and-mortar cannabis dispensaries are also on the horizon. The Grover Beach and SLO City Councils have expressed interest in allowing adult-use stores, with SLO set to vote on a new cannabis ordinance on May 1. While dispensaries are banned in unincorporated SLO County, some industry members expressed optimism for a "farm-to-table" business model that would involve cultivators growing, processing, and manufacturing cannabis on the same land, and then delivering to customers. That's been proposed in a number of the land-use applications submitted to the county to date, from rural Arroyo Grande to Paso Robles. "Canna-tourism" also holds promise, as the Central Coast is already a world-renowned wine destination. "It's been very big in Colorado," Doster of SLO Cloning said. "A lot of people have traveled internationally and domestically to legally consume." Being brought out of the shadows and into a strict regulatory structure has created some dysfunction and infighting within the local cannabis community, industry members admit. 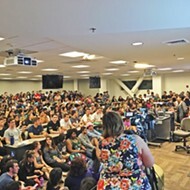 The "green rush" in the California Valley in 2015 and 2016 resulted in intense community backlash, county ordinances and, ultimately, the restricted list of 141 growing permits. The CFAM greenhouses in Nipomo irked some as a "big business" intrusion on the local scene. Early trade groups like the SLO County Cannabis Business Association didn't bring about the kind of cohesion many hoped for. BIG GREENHOUSE This 250,000- square-foot nursery in Nipomo is one of the largest in the county. Per new county regulations, operator CFAM Management Group was forced to downsize its operation and lay off 52 employees. Peluso and Gonzalez with Elite Care noticed the divisions right away when they came to the area and attended meetings. And as two women in a male-dominated industry, they noticed that vibe, too. "They're divided amongst themselves," Peluso said. "I'm sitting there and listening to what's going on and not once did they ask me, 'What do you think?' ... We're two women, what do we know?" In March, locals announced the formation a new trade association, the Central Coast Cannabis Council (C4). Connella, the grower in Suey Creek and a C4 member, sees it as an opportunity to reset. He said aspiring industry members will have to work together if the legal cannabis market in SLO County is going to move forward successfully.